Go tell him he will feel the clutches of Sherlock Holmes before it is over. This collection contains five plays written between 1908 and 1916 by Spanish playwrights, who appropriated both English and French popular characters with a considerable degree of success in order to craft effective pastiches that are also brilliant action drama. Sherlock Holmes vs. Raffles and its sequel The Clutches of Sherlock Holmes pit the Great Detective against the E. W. Hornung’s master-thief. 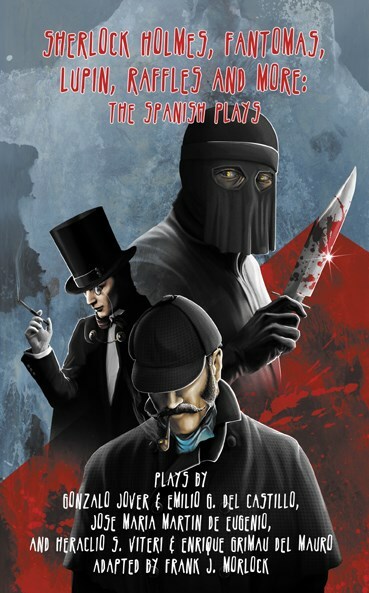 Finally, Arsène Lupin vs. Sherlock Holmes: The Hollow Needle is a free adaptation of Maurice Leblanc’s masterpiece in which the celebrated Gentleman-Burglar fights Sherlock Holmes and Inspector Ganimard for the possession of the secret of the Kings of France. The often surreal quality of the action give these plays a dream-like quality, that, however far-fetched the plot, make them all the more scary and unnerving.